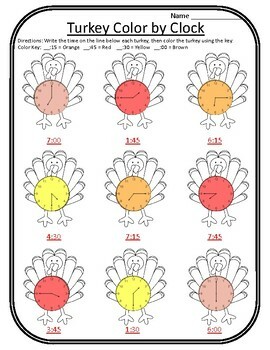 This math telling time Thanksgiving activity has students use the color code to color the turkeys according to the time that they have on the clock. Two pages so you can print front to back. Great for building clock recognition! 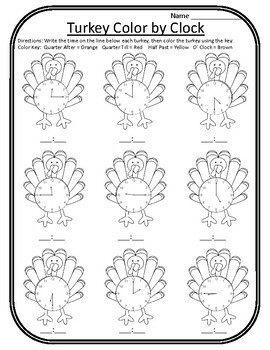 Choose to have students color by the minutes (__:15 is orange), or by quarter after, half past etc. 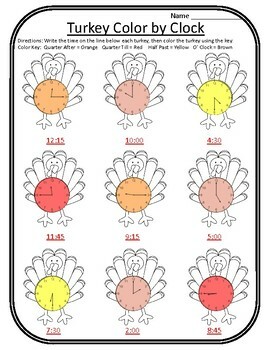 (quarter past is orange). The answer key is included.